Becky Lynch has shared that, despite her specific contract, Ronda Rousey just couldn't "hack our schedule." 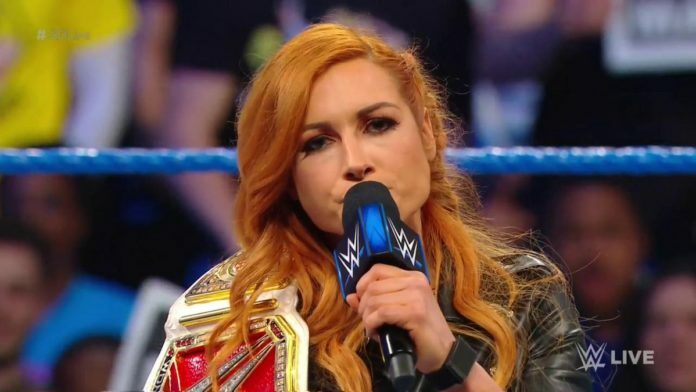 WWE’s current champ-champ, Becky Lynch, recently spoke with Sports Illustrated. She discussed her ambitions going forward now that she is both the RAW and SmackDown Women’s Champion and what her thoughts are regarding her rival, Ronda Rousey. Her momentous victory on Sunday wasn’t without some controversy. Lynch managed to secure a pinfall onto Rousey for the win. The only problem? Ronda’s shoulders were not securely against the mat for the entire three count. Regardless, only one woman was standing tall at the end of the night with both championships in her possession. It’s a position that Becky has been eager to attain. One she feels she was made for, unlike, in her mind, Ronda Rousey. Aware of her popularity amongst the WWE Universe, Lynch shares her approach towards her job—in particular, her promo opportunities.